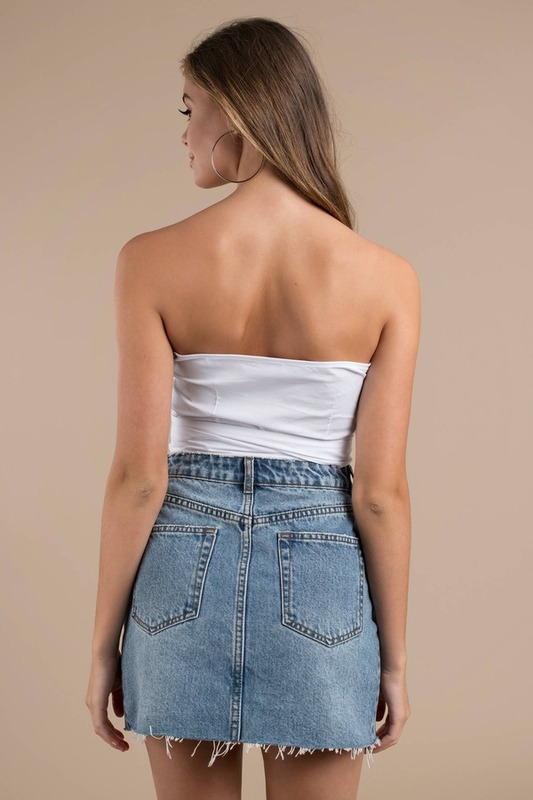 Check out Tobi's Wasted Times Strapless Wrap Crop Top Stay sweet in the Wasted Times White Strapless Wrap Crop Top. Fun times await in this strapless crop top, featuring a sweetheart neckline and lightweight cotton spandex knit with a wrap closure. This front bow top will look fab with mid rise jeans and mules. Stay sweet in the Wasted Times Marigold Strapless Wrap Crop Top. Fun times await in this strapless crop top, featuring a sweetheart neckline and lightweight cotton spandex knit with a wrap closure. This front bow top will look fab with mid rise jeans and mules. Stay sweet in the Wasted Times Black Strapless Wrap Crop Top. Fun times await in this strapless crop top, featuring a sweetheart neckline and lightweight cotton spandex knit with a wrap closure. This front bow top will look fab with mid rise jeans and mules. 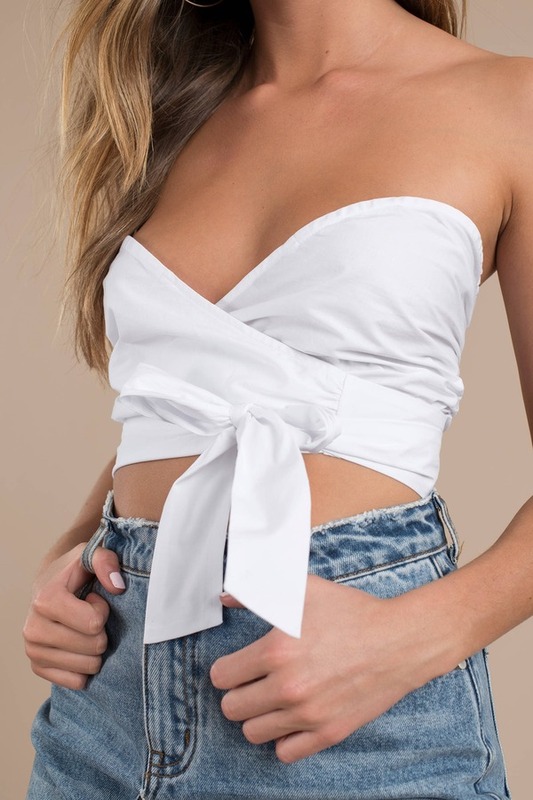 Stay sweet in the Wasted Times White Strapless Wrap Crop Top. Fun times await in this strapless crop top, featuring a sweetheart neckline and lightweight cotton spandex knit with a wrap closure. This front bow top will look fab with mid rise jeans and mules.